For only $23 a night you can stay on campus for up to three consecutive nights at a time (extended stays granted on a case by case basis). 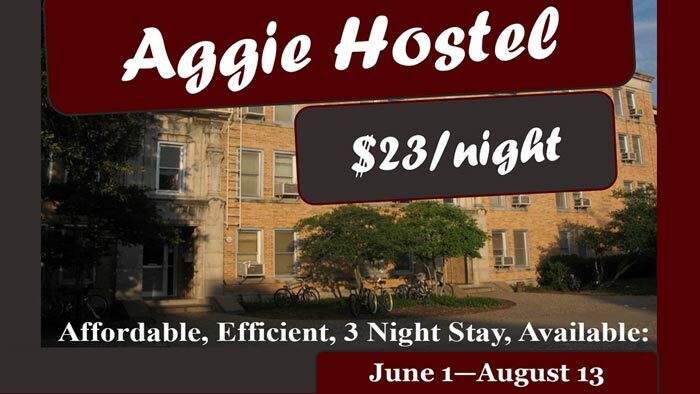 Aggie Hostel is available June 1 through August 13. Visit http://reslife.tamu.edu/guests/hostel/ in order to set up your reservation, today! Please Contact Conference and Guest Services at 979.845.1279 or conference-services@housing.tamu.edu with any questions.